Hoarfrost is a white creme with simmering rainbow flakes. Hoarfrost is the coating of ice crystals formed on surfaces when the temperatures drop below freezing. It was absolutely impossible to capture the beautiful flakes in the actual swatches, but I was able to catch them with a bottle close up. The formula was one of the smoothest whites I've ever applied. Like most whites it goes on a little uneven with the first coat, but by the second and third coat it looks wonderful. The swatches above show three coats. On Thin Ice is an icy blue frost polish with a linear holographic finish. Under daylight bulbs it's nearly impossible to see the beautiful holo finish, but regular household lights (incandescent and compact fluorescent) it really sparkles. The formula is streak free (incredible, right?!) and reaches full coverage with two coats. 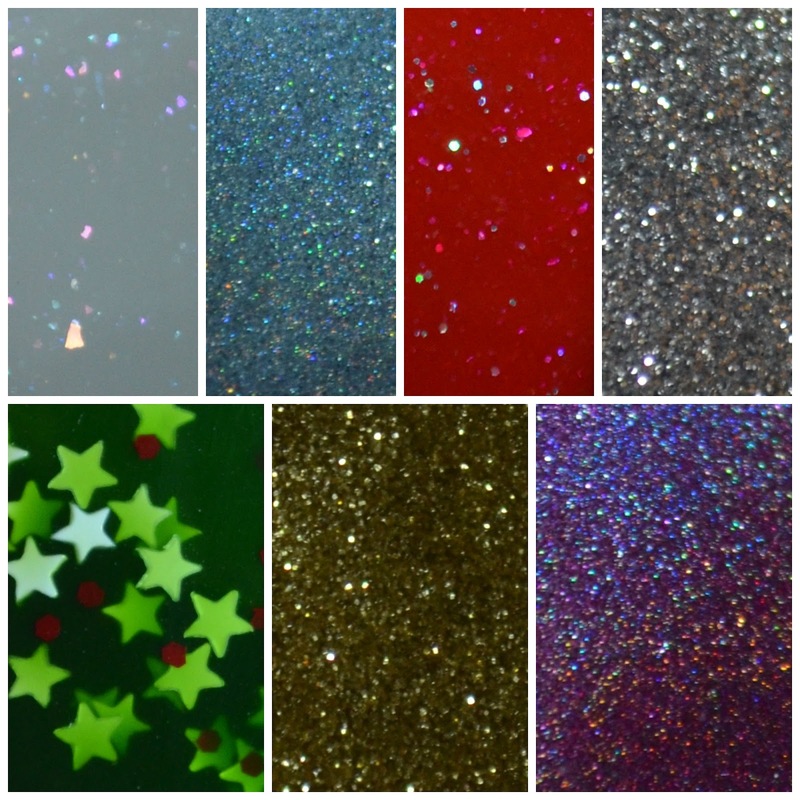 Kiss Me Under the Mistletoe is a bright red creme with holographic glitter and bright pink sparks. This color is the perfect red. I can't even stress this enough. It has a unique depth and sparkle that I haven't seen in any other red. The formula was a nice consistency and reached full coverage with two to three coats. Drop the Ball is a silver micro-glitter bomb. It can be used as a glitter topper, or on its own. My swatches show three coats on all fingers with a fourth coat on the ring finger. The formula was a nice consistency and easy to work with. The Winter Wonder collection will be available on December 26th. Be sure to check back that morning for part two!